One nice thing about being a SABR member is that at the annual convention, you’ll see some of the Big Names around. For example, in the summer of 2006, at the Seattle convention, I spotted, strolling across the lobby, John Thorn, famously one of the men responsible for The Hidden Game of Baseball and the old Total Baseball encyclopedia. He smiled because he knew what was coming. I mean, he’s John Thorn and it’s a SABR convention. Of course he gets this all the time. “I’ve really enjoyed your work over the years,” I continued. He gave me a look of appreciative, modest thankfulness, which I’m sure he’s had plenty of chances over the years to employ, because again—remember that bit where I mentioned how he’s John Thorn? It still applies. Then I caught him off guard by telling him that as a kid I had a book he wrote, Baseball’s 10 Greatest Games, and how much I enjoyed it. “OK, now this part I don’t get all the time,” he said deadpan, clearly surprised to have the conversation turn to a book no one’s brought up to him in several years. With that, I hoped he remembered the encounter and would agree to a THT interview. Fortunately, that’s what happened. Can you tell us a little about yourself (age, background, family—general stuff)? I’m 60 but not despairing about the onset of old age. After all, I’ve been preparing for this my whole life. My parents were born in Poland and, as Jews, struggled to stay alive in the war, to put it mildly. Those who might have been my grandparents and uncles and aunts did not survive. I was born in a displaced persons camp in occupied West Germany in 1947 and came to these shores in 1949. That’s the ancient history. Today I am living happily with a wonderful woman in Saugerties. And I have three accomplished sons from two prior marriages, as well as two grandkids. There, that’s more than you wanted to know. Over in the Old World, where are your ancestors from? When did they get off the boat to come to America? Those queries are answered above, but I do have one other ancient worthy to mention, the internationally celebrated illusionist Chevalier Ernest Thorn, knighted by King Norodom of Cambodia in 1877 and on tour for four decades. My parents used to say that I had inherited at least one of his traits/tricks, as I knew how to make money disappear. What was your favorite subject in school as a kid? Least favorite? Loved math and English, hated science. Went off to college intending to have a double major in math and English, which may go some way to explaining at least the sabermetric period of my career in baseball. Growing up, were you always a baseball fan? Always a fan, even before I watched or played the game. It was the cards that drew me in, the magic of the cards. I flipped them, I learned to read from them, and I spied in them a shortcut to becoming an American. Did you play? Were you any good? 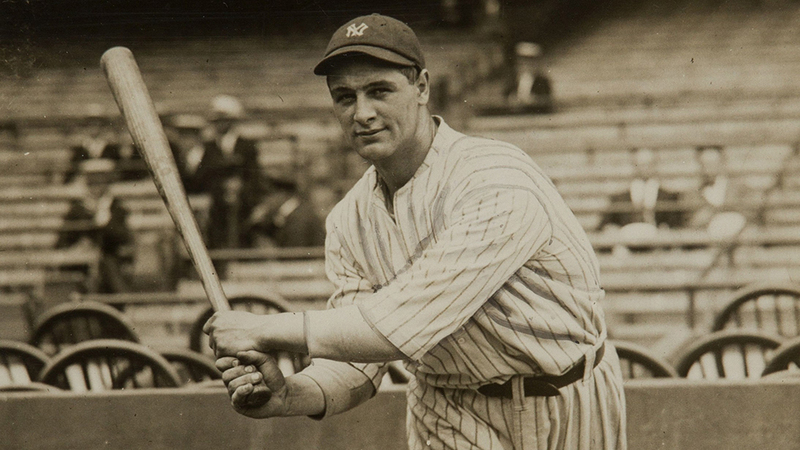 I was considered a good player, but I know my bat was slow—“opposite-field power,” some said knowingly, because I couldn’t reliably pull the ball. But I had a really good glove, and I could run. Still, I was a better basketball player than I was in the game I loved. I grew up loving the Brooklyn Dodgers, and it was a tough transference to the Mets. I went to Mets games from 1962 on, but still I rooted for the Dodgers, whom I naively thought would soon come to their senses and return to Brooklyn. It wasn’t until a game at Shea in 1965, when Mets rookie starter Tug McGraw was leading Sandy Koufax 2-1 in mid-game, that I realized my allegiance had shifted to the Mets. Thanks to Retrosheet, I can identify that date precisely: Aug. 26, 1965; Mets 5, Dodgers 2. These days I am fairly ecumenical, and will watch at least 30 Yankee games a year as well as miscellaneous good matchups on national coverage. What was the first MLB game you ever saw in person? Dodgers at Giants, Polo Grounds, Johnny Podres wins 5-0. My idol, Duke Snider, hits a homer. Thanks to Retrosheet, I can date the game: May 12, 1957. How many baseball games do you watch per year? At least 100, maybe 120. Fewer in person than I would like, but I live two hours away from both Yankee Stadium and Shea, and as a concession to age and crankiness, I am increasingly an armchair fan. How many different MLB ballparks have you been to? Favorite? Least favorite? I think I have been to more than 20 and fewer than 30 major league parks. Hate Minnesota, love Cleveland and Texas. Shea will depart unmourned. Alan Schwarz’ The Numbers Game mentions that you had a stroke at a very young age. How serious was it and do you have any lasting effects from it? I had the stroke at age 19 and it was severe, knocking out my left-side function for months as well as patches of personal memory (though not the powerful visual memory I retain for images and facts and statistics). Athletics were over for me, and I walked with a limp, took anti-spasticity medication, and suffered continuing neurological brownouts for about 20 years. I have been far healthier from 40 to 60 than I was from 19 to 39. What made you want to become a writer? Was it a lifelong desire? I was a natural editor and scholar but not a natural writer. In the latter category I am still evolving, and am pleased to think that I am still getting better. I became a writer because it seemed to me, at age 26, a sensible career choice given my medical condition and the then-likely prospect of immobility. How did you become a writer? Many have that wish, but you made it happen. I think I parlayed enthusiasm, curiosity, and a solid technical understanding of how prose works (and when and why it doesn’t) into something of a career. When I began, one couldn’t just hang out a shingle that said “baseball historian” and wait for the gigs to come in. So I developed new angles on old subjects, began thinking entrepreneurially for myself and, soon enough, for the many who joined me on big projects like Total Baseball and others. Who has influenced your writing style? Any personal guidelines you try to follow when writing? My doctoral studies in 17th-century poetry helped (or hurt!). And so did my reading in philosophy and history. I try to be precise, and I try to mix up rhythms, and I try to have fun—figuring that if I’m not, my readers won’t either. Today I admire Joseph Mitchell more than anyone, I think, for his unfathomably tricky simplicity. Oh, to write like him. When I’m bad, I’m over-fancy. Personal guideline? When writing about baseball, make sure to bring in other areas that your readers won’t figure to be relevant … then make them relevant. This once was crippling. I went to a shrink about it. Why, I asked, do I stare for hours at a blank sheet rolled into the typewriter (yes, until 1981 that’s how I worked), or pace around the room for hours, and then turn out 1,000 words in an hour that is perfectly clean and usable? “That’s how you work,” he said. “When you think you’re not writing, you’re writing.” Today I seldom have a block, and when I do I think, what am I not liking about this assignment or this tack I’ve taken? The reluctance to write is not a problem but an opportunity to reassess my direction. Are you working on anything now or do you have anything coming out soon? I’m well along with Baseball in the Garden of Eden, which my publisher is intending to get out for spring 2009. And I have projects lined up like boxcars after that, but first things first. Is there anything (could be a book, or just a portion of, or something else entirely) you’ve written that you’re especially proud of? Anything you’d like to do over? Oh, I hate my first book, A Century of Baseball Lore. Written to order for a publisher who had some stock anecdotes on hand that he wanted to expand to a book, this pastiche is truly embarrassing, especially because it sold well. I like the writing in a couple of books that are thought of as picture books—The Game for All America and Treasures of the Baseball Hall of Fame. I don’t want to do anything over—go ahead, always. How did you become aware of Pete Palmer? How did you meet him? At a SABR convention in Toronto in 1981, which I was covering for The Sporting News, I walked into a reception area and the first two people I met were Pete Palmer and Bob Carroll, who both became dear friends and more or less constant collaborators over the next 20 years. I knew little if anything about Pete and Bob then, but I very soon realized that each was the best at what he did. How did the idea for The Hidden Game of Baseball come about? Pete and I, with David Reuther, developed an idea for a new sort of encyclopedia that would provide more interesting and more revealing stats than Macmillan’s, and would tell better stories than were in the Barnes volume. We received a handsome bid for that proposal but the time constraints demanded by the publisher were unworkable, so we walked away from what was then very big money to take much less to create Hidden Game for 1984 publication. Total Baseball would not come out until 1989. How much impact did you think that book would have? Had no idea, but both of us were gratified by reader response and that of The New York Times, which began running our new stats in their sports pages. The conventional wisdom about Hidden Game is that Pete Palmer did the numbers and you did the writing. Is that about right? That notion is more right than wrong, but Pete’s words are presented and reflected in the book and, oddly, so is some of my statistical noodling. After Hidden Game, Pete Palmer and you collaborated on a new project—a baseball encyclopedia, Total Baseball. What was your role in putting that together? As with “Hidden Game,” it could be roughly said that Pete was the stats specialist and I the prose and history guy. But as with any successful collaboration, presumed areas of specialty don’t stay well defined for long. I developed the table of contents and secured most if not all of the contributors. What happened to the Total Baseball books? Did Sean Forman’s baseball-reference kill it? Sean Forman’s site is great, but it is no murderer. I think Total Baseball committed suicide in the face of the challenge of the Internet. The eighth edition, which I edited but did not publish, is like Mr. Creosote in that Monty Python movie. Pete Palmer’s now involved with the ESPN Encyclopedia with Gary Gillette. While you’re not listed on the title page, you are mentioned in the acknowledgements section. What role did you have in the making of this book? None, though the model of Total Baseball, the organization and presentation of the registers, and other elements are, I think, everywhere visible. Pete and Gary and the crew are putting out a fine book. How frequently do you contact Palmer these days? Pete and I are close at the heart, and always will be. We do not see each other as often as either of us would like. You’ve written several book about other sports. Is baseball your first love or is it another sport? I love baseball above all sports, but I’d rather watch a hockey game. All the same, when I’m not watching hockey I never think about it all. When I’m not watching baseball, I’m always thinking about it. I’ve seen you on ESPN several times. How many times has ESPN interviewed you? Gosh, I don’t know. People ask, I generally comply. It’s fun and easy, and it’s nice that filmmakers or TV producers think I may have something to say that will pique interest. Do they fly you out to Bristol for these interviews? If so, what kind of hotel do they put you in? No Cadillac treatment—mostly in NYC, sometimes at remote locations easily drivable for all parties. Hotels in NYC have ranged from the dumpy to the fantastic; that’s trivial, though. Do you follow much going on in sabermetrics nowadays? If so, what do you think are some of the most exciting achievements/studies in sabermetrics in the last few years? Yes, a bit. I read the listserv of SABR’s statistical analysis committee religiously. I think the best work lately has been in assessing the importance of fielding. OK, now for my favorite part—STUPID STUFF! What are five (non-baseball related) places you’d like see in the world if money was no object and you could go on any vacations that you wanted? England—including the Eastern and Western islands. What’s the most alcohol you’ve ever consumed in one night? Eighteen beers in my undergraduate (read: idiot) days. Who was the biggest crush you’ve ever had on a celebrity? 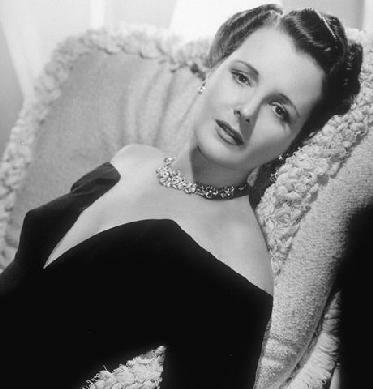 Not counting Duke Snider, as I think you’re looking for a romantic crush, maybe Mary Astor. (This is the kind of crush historians have). What is the most overrated films you’ve ever seen? Favorite guy film? Favorite chick flick? Girl: Remains of the Day. If Hollywood was going to make “The John Thorn Story” into a movie, who should be cast in the lead role? Who do you think is the most overrated figure in American history? Underrated?